Favorite thing about JAADC: Staying close to the Jordanian community and the ability to give back to Jordan. About: Born and raised in Amman, Rami received his education at Bishops School and then continued to the Jordan University of Science and Technology in Irbid to pursue his undergraduate degree. He came to the United States in 1991 and completed his M.Sc. and Ph.D. degrees in Civil Engineering by 1998. He then relocated to Washington, D.C. where he started working for Accenture, a global management and technology consulting company, where he is still today. Rami resides in the 16th Street Heights neighborhood of Washington, D.C. with his wife and two daughters. Favorite thing about JAADC: Meeting new people. But what really excites me about JAADC are the benefits and potential we can achieve together, for us and for future generations. About: Fadi is a senior business executive with more than 15 years in strategy and management consulting. I am the managing director of Samara Consulting. I spent most of my career assisting Government agencies formulate their strategic objectives, and implement projects to enable their missions. I have had the pleasure of being with JAADC from day one, and happy to continue serving our community as vice president. I am a true believer in JAADC’s mission and the value we can realize together, now and in the future. I am also the chairman of American Friends of Royal Health Awareness Society (AFRHAS). I hold an MBA from IE Business School, and a B.S. in Electrical Engineering from Valparaiso University. I live in Falls Church, VA with my wife and two sons. 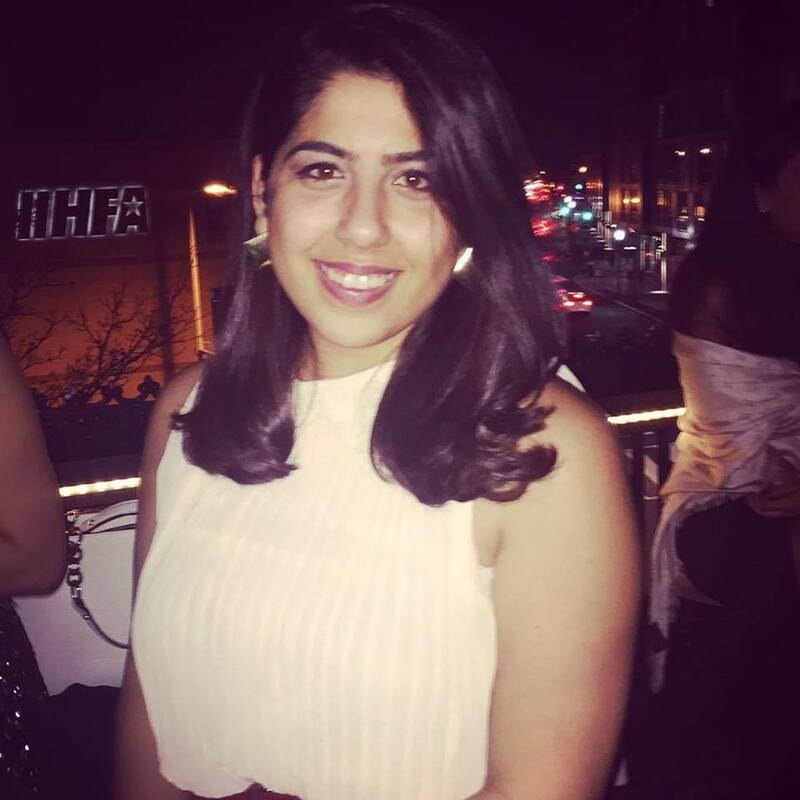 About: Merissa Khurma is a fellow in the International Security program at New America Foundation. She is a strategic communications specialist with extensive leadership experience in issues relating to foreign policy and international security, public policy, gender development, and government affairs. She has worked in a range of development projects in the Middle East that focused on economic development, the Syrian refugee crisis, education, youth, and sport. Additionally, Khurma served as director of the Office of Prince Ali Bin Al Hussein of Jordan (2010- 2013) and as press attaché and director of the Information Bureau at the Embassy of Jordan in Washington, D.C. (2003-2010). Khurma has a master of public administration from Harvard University’s Kennedy School of Government, a master of science in international security and foreign policy from Georgetown University, and a bachelor of art in political science from McGill University. She speaks Arabic and French. Favorite thing about JAADC: Having recently moved to the area with a limited network, JAADC gave me the opportunity to connect with fantastic Jordanians living in the community and also strengthened my ties to Jordan! About: Salem grew up between Jeddah and Boulder, Colorado and lived for seven great years in Dubai more recently. Salem and his wife, Razan, returned to the US and put down roots in Washington, DC in 2015. Currently a Realtor licensed in DC, VA and MD, he focuses exclusively on the residential market. Salem began his career in Denver as a public finance professional helping local government issue over $1 billion in municipal debt securities, he later moved into financial advisory services and helped his clients in the acquisition of land totaling more than 20,000 acres. A graduate from the business school at the University of Colorado in Boulder he loves traveling, tennis, motorsports, and is a thalassophile. About: Raed Samara is a global product manager responsible for managing a line of genetic analysis solutions at a biotech company. Raed has extensive commercial and scientific experience in the oncology and immuno-oncology research fields. He received his doctoral degree from Georgetown University in cancer biology focusing on studying the spread of colorectal cancer to the liver, after which he trained in immuno-oncology at the National Cancer Institute studying mechanisms to enhance cancer vaccine efficacies. Raed received his Bachelor’s degree from Valparaiso University in Biology & Chemistry. Favorite thing about JAADC: Civic participation and community values. About: Saba Gheshan is a Jordanian lawyer working in the World Bank Legal Vice Presidency and based in Washington D.C. Saba has experience in international law and development and advises on operations in fragile, conflict and violent states. She works on a wide range of development projects in the AFRICA and MENA regions in different sectors including economic development, finance and markets, infrastructure, health and education. Previously, Saba finished her articling in Jordan and trained in Ali Sharif Zu'bi law firm's corporate department. She is a certified member of the Jordanian Bar Association. Saba holds a Bachelors degree in Law from the University of Jordan and a Masters Degree in International Law and a Graduate Certificate in Alternative Dispute Resolution from Loyola University Chicago. Favorite thing about JAADC: Meeting the Nashama and Nashmiat and connecting people with each other. About: Mohammad Majed Shatnawi has been in the USA for the last 20 years and been living in the Washington DC area since 2000. He has a BA in Economics/English Literature from Yarmouk University and an MS in Applied Economics from Western Michigan University. He has been in Banking/Compliance for most of his professional life. While not on the jobs he enjoys being involved in community service. He has volunteered at the Washington DC International Film Festival, Potomac river cleaning, and helped out with the efforts in the DC area to collect clothes and other types of donations for the Syrian refugees. He also runs a meeting for table tennis in Arlington and is in an international drum circle.